This week our school will feel a bit empty as our eighth-grade students are off to Boston for a three-night field trip. Traveling is a great opportunity for our students to explore the wonderful programs offered and learn more about themselves in the process. Earlier this month, I had the opportunity to accompany the fourth grade on their trip to San Antonio. I watched the students begin to develop areas of their self-esteem right before my eyes. Self-esteem is not a quality of character that parents and schools can give a child; rather they must work to create the conditions for a child to develop it from within. Promoting healthy self-esteem is a process that requires time and patience. Many experiences that encourage and challenge children in a safe and nurturing environment need to be provided away from the comforts of home. Being concerned with the development of healthy self-esteem in children is certainly important. Low self-esteem can breed anxiety and frustration. Healthy family environments should provide supportive trust between a growing child and his/her expanding world. The next community after the family to which children are entrusted is the school. 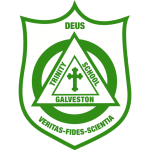 Small schools like Trinity offer small class sizes and a nurturing environment critical to each child’s sense of belonging. The connection between a strong school community and a healthy home setting is crucial to fostering a positive sense of self. It has been my experience that children who feel respected and nurtured by both family and school environments successfully acquire academic skills and self-esteem. Keep in mind, children’s self-esteem must be developed from within the self. Our overnight middle school programs along with the fourth-grade trip to San Antonio and our various other out of town adventures are an essential part of our schools’ mission and curriculum. I thank you for entrusting us with your greatest treasure, your child.